It was great to see so many of our partner institutions at AZA in Kansas City! Thanks to AZA for putting on another great event. We want to thank so many of you for the wonderful response and feedback to the Global Academy online training courses. In our last newsletter we highlighted the results of the efficacy test results from the first four courses in the Animal Care Training Certificate Series. The results were very impressive, so if you missed it, please click below for the full study. And keep in mind that we are busy creating the next 13 courses in the Animal Care Training Certificate Series for release throughout 2014! We are also pleased to share with you the launch of our new Administrative Users Group in November. We will be reaching out to all the administrative users of privately branded e-learning sites in the Academy to participate in monthly calls, where we will be sharing techniques, ideas, and what's new in the Academy. This is an opportunity for all administrators to share their knowledge, ask questions, and connect with others. This is yet another way in which we can all use our shared experience to enhance professional development across the industry. The intent of Universal Design is to provide “Life Span” or “Barrier Free” designs. The principles set forth in Universal Design are that products and built environments be designed in such a way that no matter a person’s age or ability, all are be able to use them. The design is not only intended for a person with a disability but also for a child or shorter adult to easily be able to use in an inclusive way. 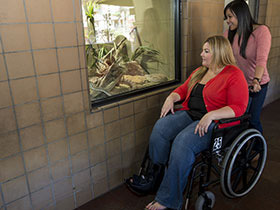 This session will review the history of Universal Design, what makes it different and more effective than present accessibility codes, and examples of how these can be included in zoo, aquarium, and museum design. Our September webinar was the fourth in our series of the Americans with Disabilities Act specific presentations. Mark Trieglaff provided details on how to make exhibits accessible to people with disabilities. The session provided a review of what is required under the ADA and also reviewed standards developed by the American Alliance of Museums and the National Park Service. These two standards, although not required by the Department of Justice, provide guidance that will make your exhibits easy to use and effective in communicating their messages to your guests. As you may have noticed in looking at the available classes on the San Diego Zoo Global Academy site, we have a little something for everyone. This month, you might be interested in our Nonprofit Program Marketing class. This course gives you the tools to ensure focused and effective marketing, advertising, and promotion of your programs. You will learn how to discover what the target market for your nonprofit program is, reach your target audiences in the most cost- and mission-effective manner, and build your program. 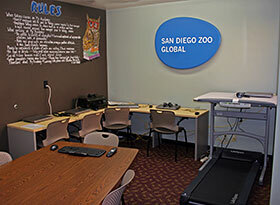 For idea sharing sake, here is a photo of the Learning Center at the San Diego Zoo, one of the San Diego Zoo Global locations where employees can take online learning courses. 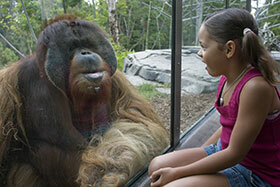 The Global Academy Congratulates the Point Defiance Zoo & Aquarium! 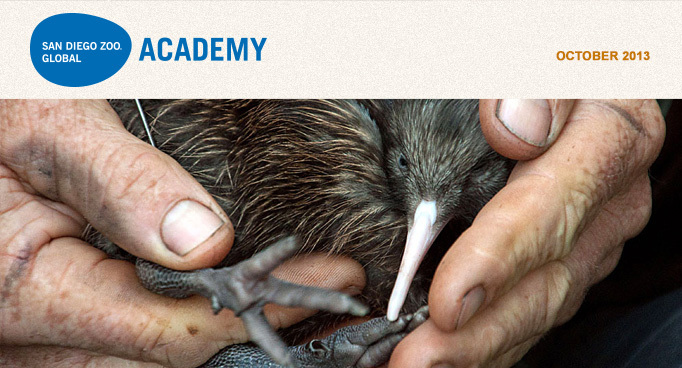 The Point Defiance Zoo & Aquarium is a Global Academy Collaborative Partner and they are upgrading their subscription to the Global Academy. The Point Defiance Zoo & Aquarium will have a privately branded site for their employees and one for their volunteers, as well as access to the Global Academy. 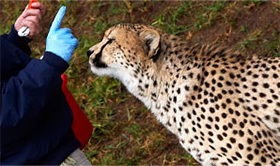 San Diego Zoo Global Academy has earned a Certificate of Recognition from the American Association of Zoo Keepers (AAZK): "In sincere appreciation for the Academy's help and support in making their online learning content available to our Collaborative Learning Environment." Thank you to AAZK, and thank you to our collaborative learning partner institutions for helping make this possible! In collaboration with the San Diego Zoo Global Academy, the World Association of Zoos and Aquariums (WAZA) has launched their Online Professional Development Center. Congratulations to WAZA! Please click on the link to access the WAZA site and then on the WAZA eLearning button to learn more about it. Harassment Prevention Training from San Diego Zoo Global is now included as part of the Global Academy catalog of courses. Offering a comprehensive, online harassment prevention course to your employees will result in more appropriate workplace conduct, as well as reduce your company's liability.